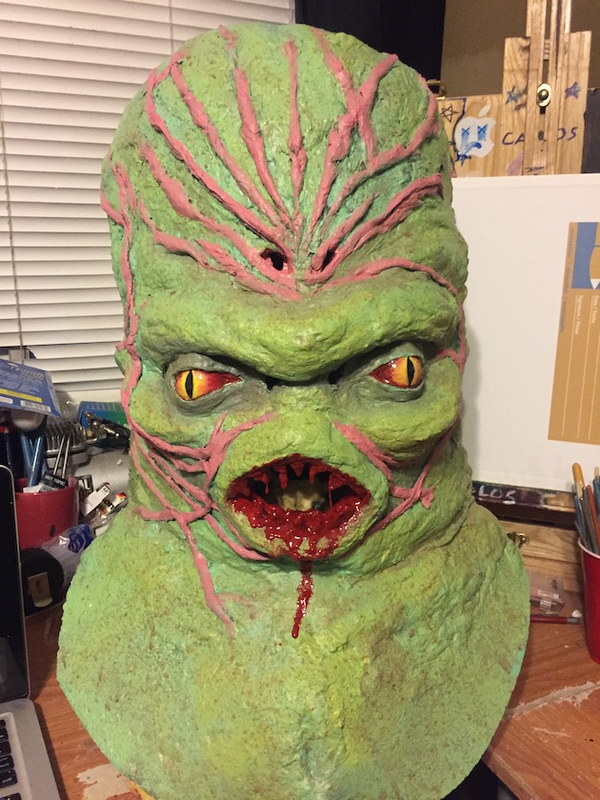 I am a HUGE fan of Rick Baker, and I kept seeing other artists recreate his work so I thought "let me try!". 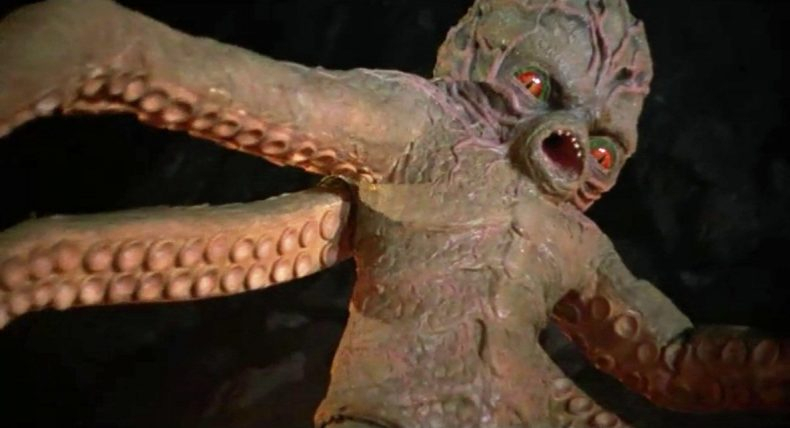 So here is my Octaman mask originally designed by Rick Baker in 1971 for his first film. I made this for less than 100 bucks so I'm sorry if its not 100% accurate. 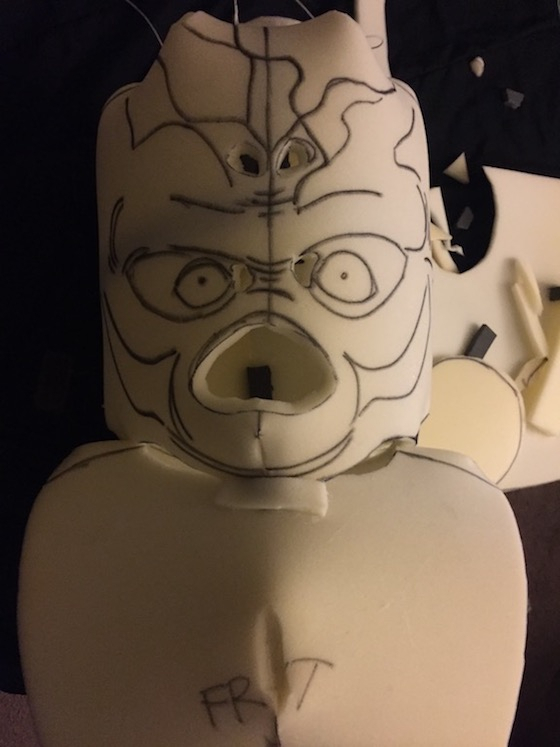 Here is the basic form in upholstery foam, I used sharpie lines as a guide for the final design. 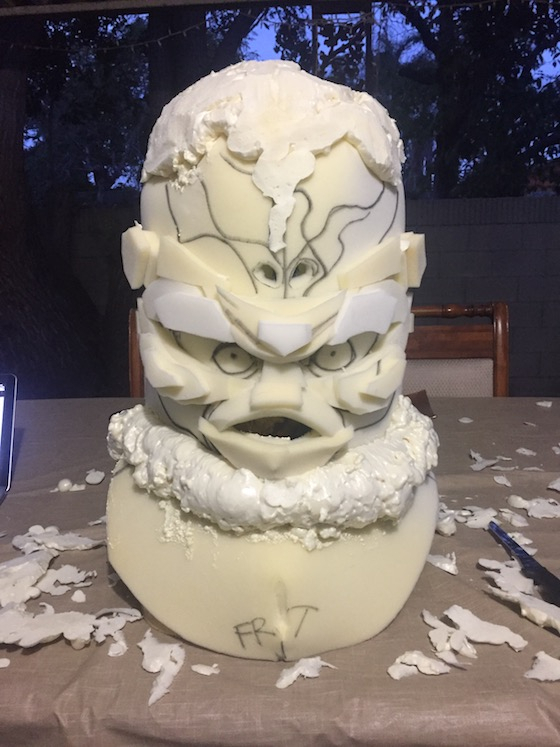 This is the mask with Great Stuff Insolation Foam fully cured and some what carved. 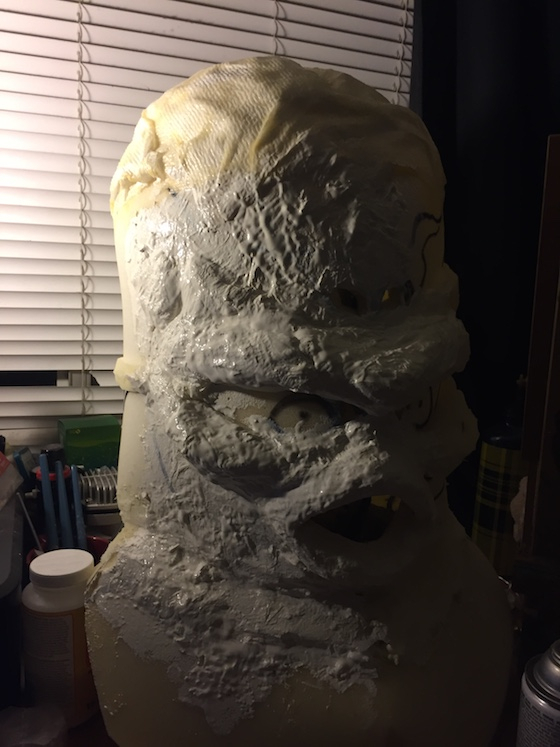 Here I began texturing the foam with liquid latex and cotton, this took me way to long but this could definitely be done in a day a and a half. This image is a mess I had finished texturing the mask and began painting but I then realized I forgot the veins of the original. UGH... So my paint job was destroyed in order to add latex covered strings of cotton. FINALLY! 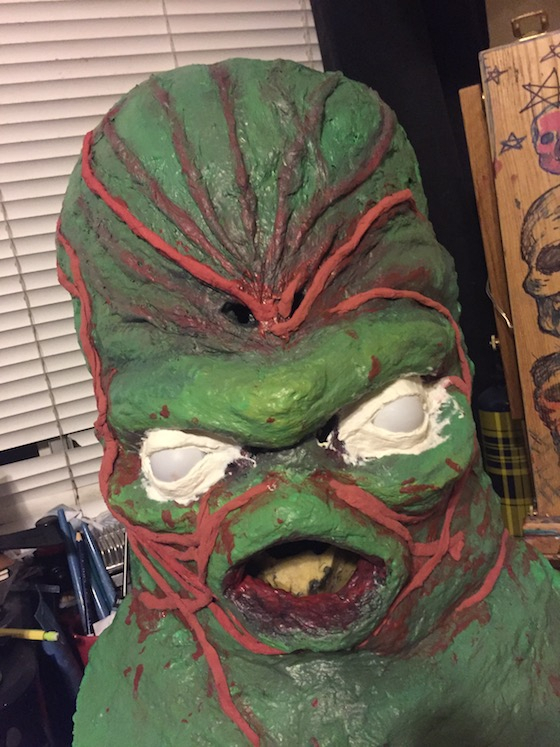 This is starting to look decent : ) I repainted the mask and painted the eyes at this point I was starting to feel good about my project. Then another realization hit me... I had no teeth. 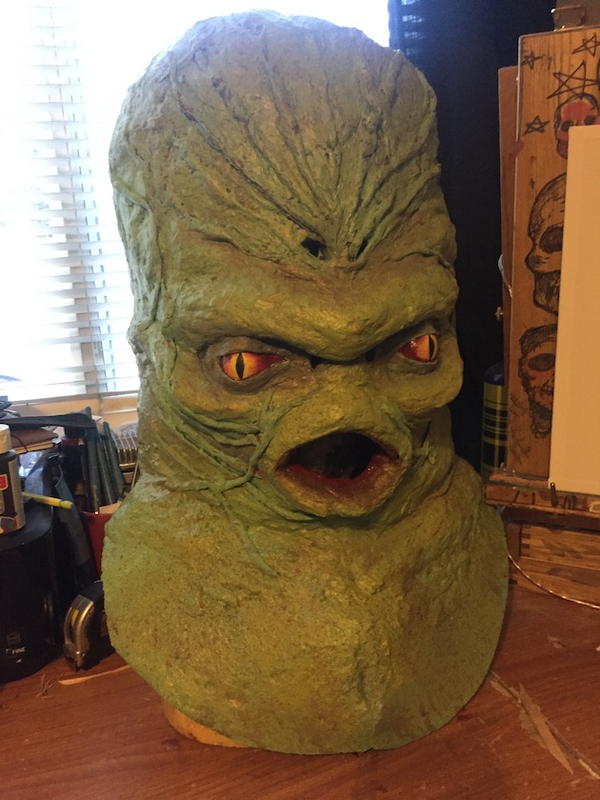 TA-DA FINISHED OCTAMAN MASK!!!! (Sorry for the direct lighting) Tell me what you think, and if you read far enough let me know on Instagram and I'll follow you. Great replica! I’m really impressed to see this level of work with basic supplies, like the paper towels! Awesome!